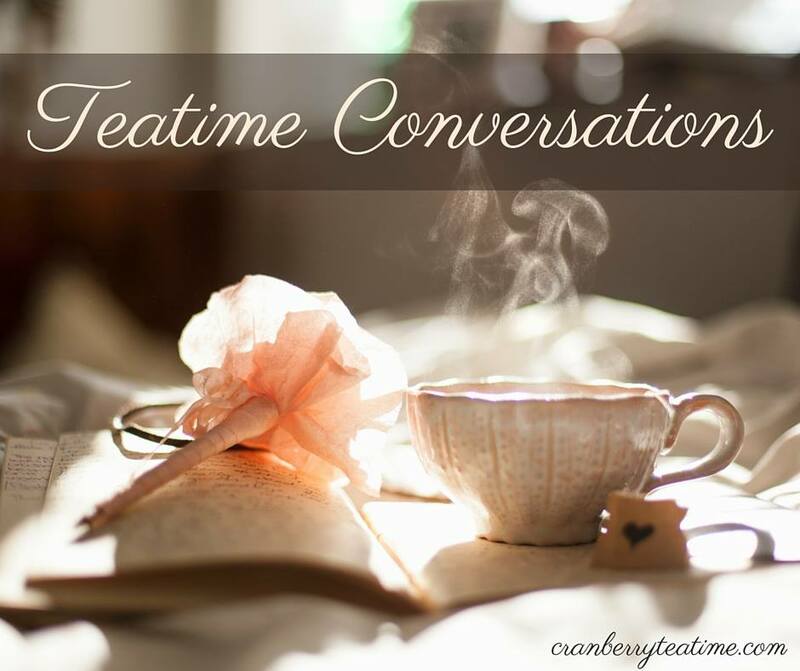 A couple of months ago, Adelaide and I invited our friend, Bethannie, over for afternoon tea. To make teatime even more fun, we decided to dress up and wear hats! 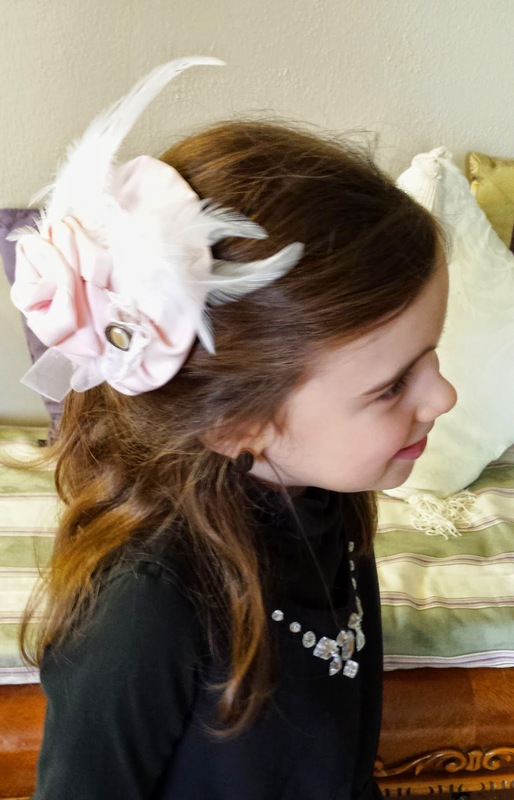 Adelaide wore her new fascinator that we had made the week before. 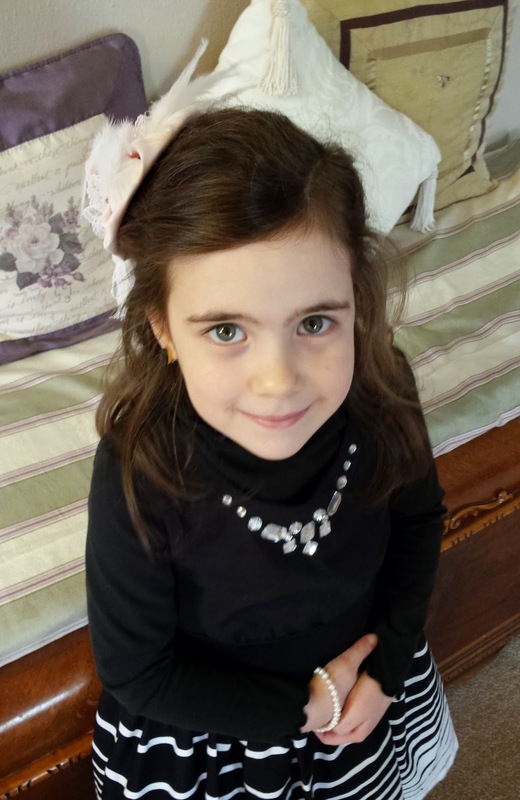 She also wore clip-on earrings from her Great Gramma. She was so excited to wear earrings and a fascinator for the first time! 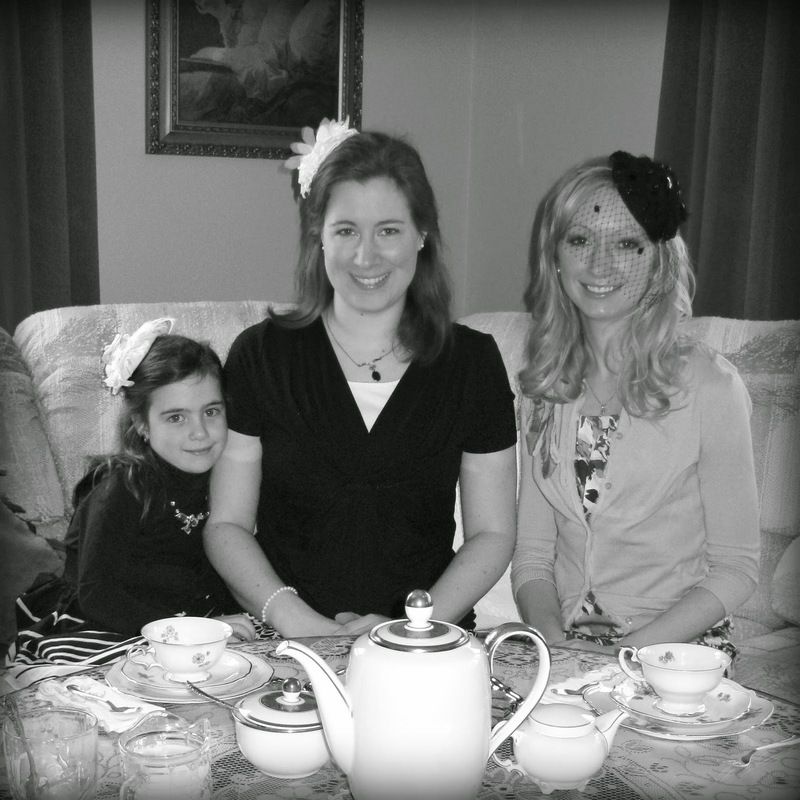 What a treat it was to have Bethannie come over for a fancy tea party! We had a wonderful time!